The Indonesian forestry ministry is on board with President Jokowi’s plan to ban new oil palm permits, and has rejected all outstanding requests to establish plantations in the forest zone, a ministry official said on Friday. 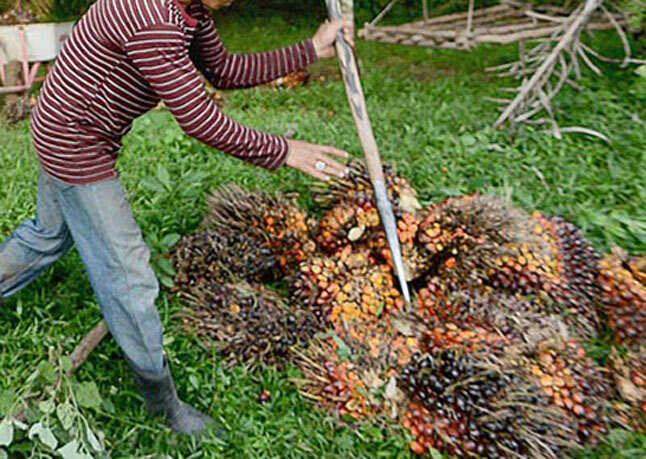 Sixty-one palm oil companies have had their proposals rejected, sparing a total of 851,000 hectares of land from conversion, according to the San Afri Awang, the ministry’s head of governance and planning. That’s 12 times the size of Singapore. “We are bringing the president’s directive on [the moratorium] to fruition as best we can,” Awang told forest hints.news. Jokowi announced the palm oil permit freeze in April. It also applies to coal mining licenses. Both sectors are vital to Indonesia’s economy, but lead the way in damaging the environment. Rapid oil palm expansion is decimating the country’s rain forests and was a prime cause of last year’s fire and haze crisis, which sickened half a million people, polluted the air of neighboring countries, pumped an incredible amount of carbon into the atmosphere and, according to the World Bank, cost Indonesia $16 billion. Most of Indonesia’s land is designated as forest area (although it does not always consist of forest) and thus falls under the forestry ministry’s onus. Oil palm and coal mining companies that want to develop it have to apply for its release. Awang said the blanket rejection of companies’ proposals was the first phase of a larger review process that could see more firms’ plans put on ice. “The second round of the review is certain to produce similar results,” he said. It could put the kibosh on the plans of firms like PT Cipta Papua Plantation (CPP) and PT Mega Mustika Plantation (MMP), which have acquired some, but not all, of the permits needed to grow oil palm in the Sorong area of West Papua province. It was only in April that an indigenous Moi community in Sorong learned that a year earlier, both companies had received an in-principle permit, which precedes a forest zone relinquishment permit, from the forestry ministry. The community has teamed with NGOs to protest the companies’ plans, which they say they flat-out reject. “The government keeps ignoring the voice of the people and giving out permits,” Greenpeace activist Charles Tawaru said. It is not clear who owns either CPP or MMP, although both are registered at the same address in Jakarta.